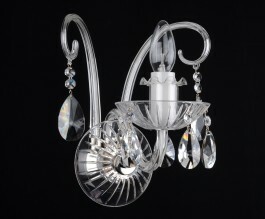 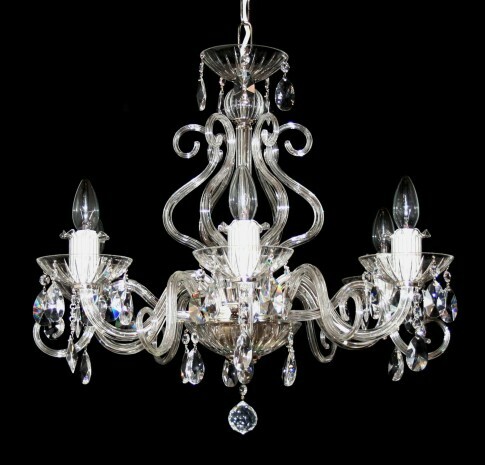 The crystal chandelier with 6 glass arms and silver metal finish. 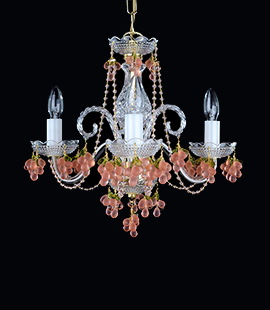 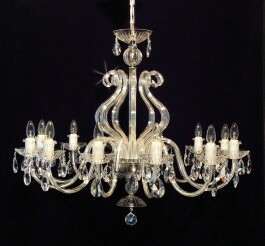 The design glass crystal chandelier with 6 profiled glass arms. 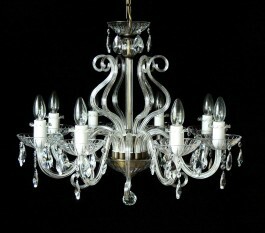 The white glass tubes covering el. 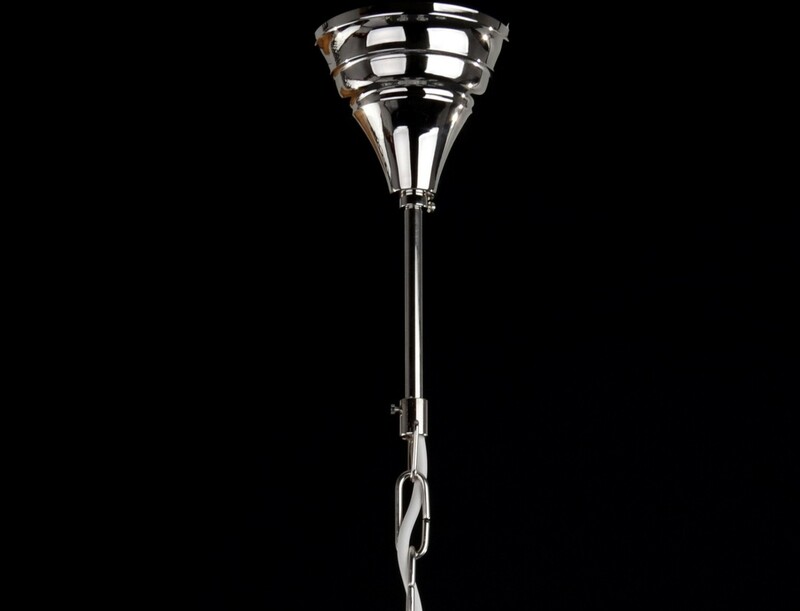 sockets are decorated with clear glass warmers. 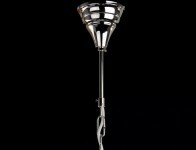 Dimensions (W x H): 62 x 53 cm/ 25.3"x21.6"
You can order metal finish: Stained brown brass (patina), Silver (nickel coated brass), or pure gold Brass.